Weep (dictionary.com) to express passion (or grief) by shedding tears. The Sun sets in Santa Theresa, Costa Rica. Pushing myself with my right bare foot, I swing lazily on our taupe hammock between the two wooden posts that connect the upper and lower part of the house I am staying at in Santa Theresa. I turned the final page of my novel and lay it down on my chest. Giving it no thought, I throw it across the deck where it landed in the open door of our kitchen. J.R., my new friend from Colorado, is perched on a chair on the deck. He is smoking a cigarette and filing his finger nails. He looks up. I hated the book, hated it. It had the worst end. It is mocking me in its face down position from our makeshift kitchen. Farewell to Arms. Devastating. I cannot place my finger on what upsets me about it. The sun is hot in the late afternoon and I am confused, tired and upset. Then I rest my head back and cry. The connection is static and the voice on the other end sounds very, very far away. It is Amanda, and today she is getting married. I am miles away in the middle of nowhere with hardly any reception on my US cell phone. She sounds ecstatic. I wish her and Jeff a Very Happy Wedding Day; I hang up and step back into the hotel room. Another life event I have missed. This sacrifice of missing events, birthdays, weddings, funerals, is part of the choice to live this style of life. I go into the bathroom and sit on the edge of the tub and lean my face against the wall and feel the liquid misery squeeze out of my eyes. I am about to leave on a week-long camping trip with twenty nine other folks, it is the end of August and almost the end of Alaska. I am dreading this trip because I have to say good bye to the man who has been in my life all summer. The forecast calls for rain. The very thought of standing over a camping stove, laboring to cook for 29 folks, setting up and taking down tents makes my head spin. I feel sick to my stomach. I drop off a gift for him, one of my favorite books. I walk away into the gloomy morning in Anchorage and into the Backroads van. I turn the key in the ignition and tears begin to fall down my cheeks and into the neck of my icebreaker wool long sleeve I have worn most of the summer. I just let them fall and I turn the ignition and drive away. I have handed my card to the security guard and I am ushered into the secondary screening area. I sit in a plain white chair while two Border Officers do to my possessions what an eager dog might do to a bag of garbage with old food busting out of the sides. They open and close every pocket in my suitcases, take every article of clothing out, empty my wallet of every receipt and every card. They have stretched out the contents of my life from September to November in the Calgary Airport border services room. The room is white and clean. There is a Canadian flag pinned on the wall. I am asked to provide proof of Canadian residence. I am asked to provide proof of American residence. I am asked to explain again, in detail, what I do for a living. I am asked about Banking, Health Insurance, and taxes. My passports are not enough to quell the questions. I am moved to a second room, away from my strewn possessions, and asked the same set of questions. Fighting the rising frustration forming in my throat and the anger stewing inside of my stomach, I am trying to answer the questions with the same initial calm of theremustbesomekindofmistake. Packing up my articles and worldly possessions I bite my lips, furious that this interrogation even happened. I belong to both countries. How could this be a problem? My mascara has run down my face. I can tell because I keep wiping away the tears as they fall silently under the watchful eyes of the security guards as I repack. >Trip to Vancouver to visit little brother. When crossing the border wasn't an issue, Tok to Whitehorse on The Alcan. The national anthem has finished and the kick off is moments away. I am not yet cold, surrounded by a sea of green Roughrider fans. 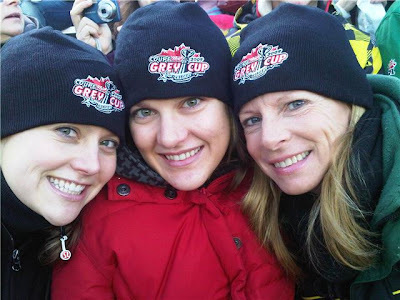 It's Grey Cup 2009. The last time I was in a CFL Stadium was Dad's final game as a coach before the great unraveling occurred. I am struck by how happy I am to be here, in this moment, as the jets scream by over our heads. I am struck also how much this is home, this football league. I grew up in it. I am smiling. I am also crying. From Coast to Coast and North to South, I am hanging my hat in one closet for a little while, and for this I am relieved. I have laughed, screamed, danced and cried my way through another season of Backroads and batch of my own travels. This set of adventuring may be done, but a new set will come and sooner than later I will find myself on a plane, on a bus, or in a car heading in a new direction. Packing up a suitcase and preparing for whatever waits. For this leg I appreciate the love I have received from all those who have read, shared, laughed, screamed and cried along the way with me. I am blessed. Thank you for sharing your adventures, Holly, but for now, it’s great to have you near and be able to give you a big hug in person!! Could this really be words written from experiences of the little girl who for the first time going to school alone, waved back at me 11 times? or who hated fire alarms at school and the teacher had to call me ahead of time to warn me one was planned so I could prepare you for it? You’ve come a long way Holly Higgins! The simple word ‘adventure’ can’t begin to describe the sights and sounds you live during Backroads trips. 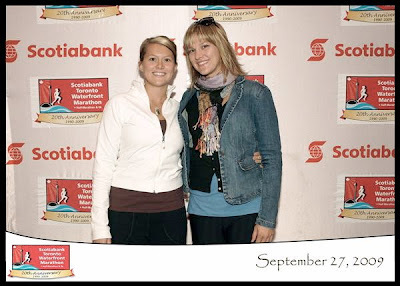 Thanks for taking me along on a ride with you through your blog… it’s been a trip! What incredible memories…are there any more tears to be shed? Amazing story telling! Where does that come from? Thanks for sharing.